. 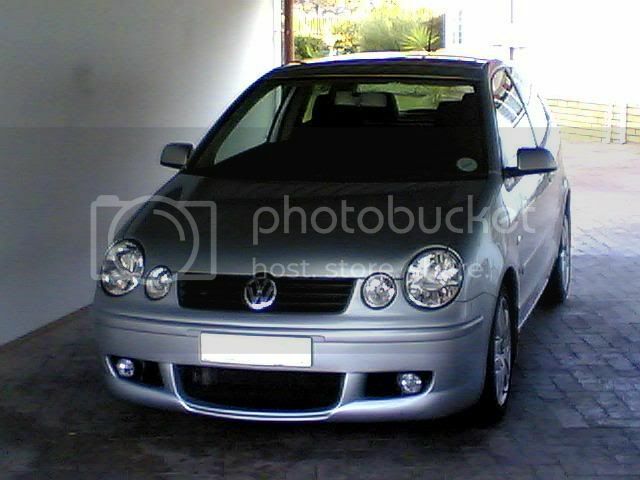 : Polo TDI Sportline Turbo Upgrade and FMI Install :. And dont forget the toyota bolt!! RoadHaWg wrote: And dont forget the toyota bolt!! How long r u here bud? Lekker bru, we must meet up before you go! Maybe all the guys can hook up and head to Tarlton on Thursday or something! Nice technical tutorial with lots of pics! Looking forward to the dyno figures. Which front bumper is this? I was considering fitting the Sportech kit to my Polo but this front bumper looks very nice too. That standard intercooler looks pretty weak. Does it even get any air from the front of the car? Ive been looking for mine and it seems pretty protected from any air flow. mcgavin wrote: Car looks good! That would be correct ... swaak airflow from the front to the OEM intercooler, RH was talking of cutting some fins into the plastic of the wheel arch to help with flow VW!!! Bad planning VW!!! yeah i havent actually seen how much space is in front of the IC but i was thinking of puttig a bunch of fans in front of it to help with cooling? Is there any updates to this thread??? checked the IC. found it behind the grill. doesnt look like it has awesome air flow but i was under the impression that the IC was for cooling the turbo, hence the concern but from another forum i posted i found out it was just for cooling air that the turbo uses, so i am not that concerned anymore. Lambchop wrote: Is there any updates to this thread??? After a long 3 days of running around and much time spent etc there have been some developments with the setup. according to the A4 print out ... min bandwidth here at home to upload pic's etc of the scanned dyno sheet. Late Wednesday afternoon a small nut on the impeller shaft let go and worked it's way back into the vanes of the intake. Thus shaft let go at it was offset and not balanced. Chicken Licken wrote: Late Wednesday afternoon a small nut on the impeller shaft let go and worked it's way back into the vanes of the intake. Thus shaft let go at it was offset and not balanced. Vanes = not one we could see was bust. We found the nut at the bottom of the splash tray buy the sump between tho's plastic bubbles. So it just worked it's way off the impeller shaft and dropped to the tray. The vanes are still intact on the shaft and the shaft is sitting at about 20 degree's and lose inside the housing. The nut came off from the shaft at first glance it looked like it fell/sucked back in like on some of the vnt17 i have done. The turbo snapped the shaft close to the impeller. This is just speculation as we have not stripped the turbo.I think that the impeller wound itself deeper onto the shaft [longer thread] causeing it to break the shaft. How'd she go just with the intercooler on and the stock turbo? What was the outcome with the turbo? did you at least have that under some kind of warrantee? This is the exact mod I had in mind for my Polo, only I was not gonna leave the OEM intercooler, and the brakes were gonna get some touching... new disks (312mm slotted) and bigger brembo calipers. Plug-In Profit Site - 3 EASY STEPS to Make Money Online!